Since I talked about Shiva (Energy) and Shakti (Momentum) in the last blog, let me explain them more, before I get back to Vrsakapi, Indra, Mitra and Varuna more from the Rg Vedic slokas. We will also go about understanding the various 'Rishis', before we get back to more Indra, Mitra and Varuna. I am absolutely clear that our Vedas and Puranas indeed explain the events that happened in the early Universe more closer to what exists today in Standard Model, QED, QCD et al. The idea behind these posts is to bring out that relationship from translations of Rg Vedic slokas, which can easily be verified and peer-reviewed. Shiva is Energy, Shakti is momentum, Rudras are force-fields and Maruts are the quanta of force-fields. Rudra means ‘howler’ or ‘one who vibrates’. Rudra are the force-fields or quantum fields. Our space though looks empty and vacuum, has several quantum force-fields spread across. In fact our 3 dimensional space is a ‘muddy’ field of mixture of quantum force-fields that exist even in vacuum. This is what science says. Fields are distribution of some physical content, like energy, across a region of space, to whose spatial points they assign quantities (scalar) and direction (if vector). Fields possess energy and other causal properties, located in spacetime (Brahma/Hiranyagarbha), extended, but not bounded or exclusive. When fields are added they superpose, like waves, rather than aggregate. Field systems are the source of atomic individuals and groups (which have no individual characteristics). Fields are energy-bearing and property-maintaining systems. 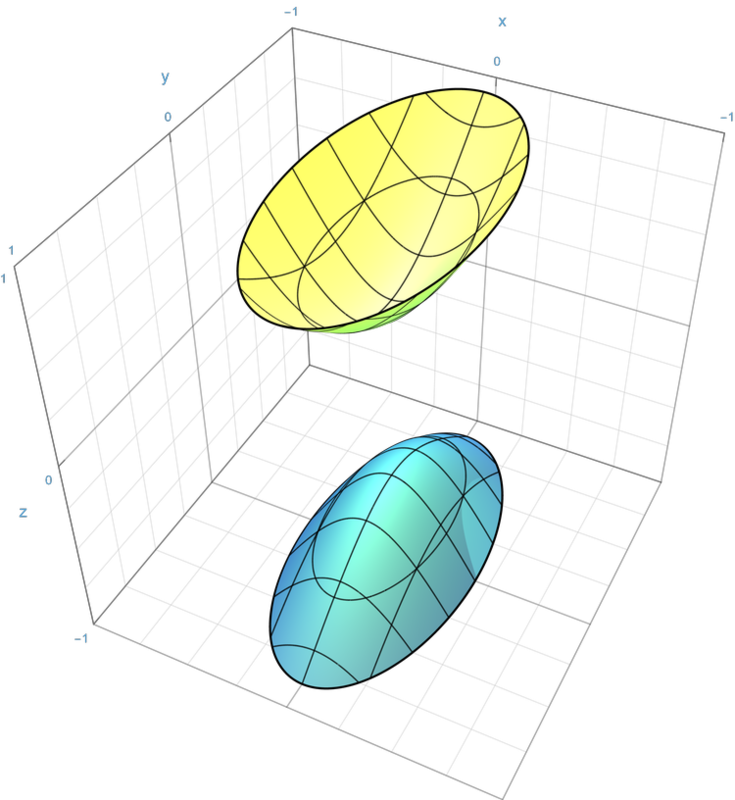 The fields are governed by Quantum Field Theory. 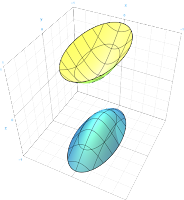 The fields are distributed over a continuum of points in four dimensional spacetime. The fields energy is located at every point in spacetime, whose vibrations yield ‘field quanta’ or particles. When no particle is present, the field has a zero point or vacuum energy. The points of the field fluctuate up and down in energy, in effect cancelling out and leaving zero point energy over longer distances and times. Over a small scale of spacetime, these fluctuations are violent and the interaction of local fields create all the phenomena observed in the Universe. Every fundamental force carrying particle or matter is characterized by this type of field. Thus the local ‘coupling’ of energy with field emit or absorb particles and are behind the interaction of the particles. Thus a quantum particle is said to be possess particle nature (energy points in space) as well as wave/field nature (energy spread out in field). Thus particles can pop out of the vacuum or get annihilated into vacuum. These particles acquire variety of properties including mass, energy, momentum, spin etc.. 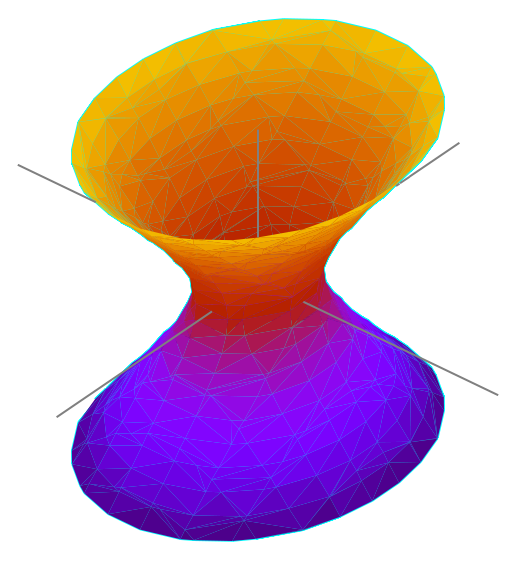 The solutions to the above equation form a hyberboloid or a Mass-shell. The hyperboloid or Mass shell is the Linga. As long as particles obey this Energy-momentum relationship they are said to be on the Linga or on the Mass-shell. If Rudra are the force-fields, Linga is the Mass-shell to which all particles obey or in which all particles ‘exist’. This is how Energy (Shiva), Momentum (Shakti) is worshipped in the form of a Linga (Hyperboloid). Linga or the on-mass-shell connects the force-fields (Rudra) with Shiva (Energy) and Shakti (Momentum). The linga mentioned in our puranas are not from organs of Humans, though they may be understood as such in later days. It is derived from the hyperboloid relationship between Shiva (Energy) and Shakti (Momentum). The real particles that are on linga (on-shell) cannot travel faster than light. They cannot travel back in time. They obey the Energy-momentum relationship laws. Only those that ‘attach’ to the linga or on-shell attach to laws of the Universe and hence become observable and observers. All real observable particles perform ‘inter-action’ (karmana) in this Universe. Hence they are not only observable, but they also ‘observe’. In quantum mechanics there cannot be an ‘observer’ without impacting the observable. For a quanta of information that passes from observable to the observer, some quanta of information passes from observer to the observable. Thus the observable also becomes an observer. These particles that are on-the-mass-shell or Linga, become ‘observable’ and also become observers participating in interactions (Karmana). Such 'Observable' and 'Observing' particles are said to possess 'Manas'. More about Manas in the next post. But there are particles which do not obey the Energy-Momentum relationship. They are said to be ‘off-mass-shell’ and are called Virtual particles. They can travel faster than light. They can travel back in time. They do not obey the Energy-Momentum relationship laws. But virtual particles are ‘virtual’. They are not observable. They are internal lines of a feynman’s diagram and are needed only to explain many interactions. They cannot be isolated and observed. They can be considered a mathematical trick to fill in the gaps in our understanding or explain an interaction more accurately. But without them our understanding is incomplete. Hence though they are virtual, they are needed to explain the concepts. Without them many of our current understanding is incomplete. Let me explain Manas in the next post..